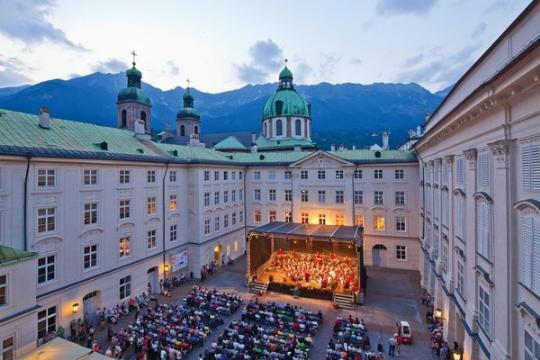 In the framework of one of Europe's leading brass and classical music festivals, the inner courtyard of Innsbruck's Imperial Palace is the venue for 33 daily concerts by brass bands, wind orchestras and big bands from nine countries. 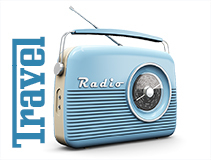 The long list of outstanding ensembles includes the Swiss Army Brass Band, the Big Band of the German Armed Forces, ensembles from Willebroek (Belgium), Filarmonica Mousiké (Italy) and the Slovenian Military Orchestra. The varied concert programme ranges from classical works and brass music from the Austro-Hungarian era to jazz, folklore and contemporary pieces. Admission to this summer concert series under the stars is free.